Last updated: August 9, 2018 at 11:32pm by Savanah – The state’s Attorney General has deemed online daily fantasy sports (DFS) betting illegal in Idaho. As a result, all DFS companies no longer accept money from Idaho residents (which went into effect on May 1, 2016) until a bill is passed to legalize this activity. The Idaho Supreme Court ruled that instant horse betting machines are officially illegal as they are too similar to slot machines which aren’t allowed in the state. These machines were legalized in 2013. While you can play online poker in Idaho, many people often ask or wonder if it is legal to do so. This is always a great question, and often debated, but in order to even attempt answering that question we must look at the current laws in place in the state of Idaho. Bona fide contests of skill, speed, strength or endurance in which awards are made only to entrants or the owners of entrants. Bona fide business transactions which are valid under the law of contracts. Games that award only additional play. Merchant promotional contests and drawings conducted incidentally to bona fide non-gaming business operations, if prizes are awarded without consideration being charged to participants. Other acts or transactions now or hereafter expressly authorized by law. Idaho’s statute is interesting because it mentions a contest of “skill” to be legal, which many experts feel poker is a game of skill, yet it mentions poker as an illegal form of gambling. Many other state laws are written differently. But remember, online vs. offline are completely separate matters when it comes to the law. A state lottery which is authorized by the state if conducted in conformity with enabling legislation. Pari-mutuel betting if conducted in conformity with enabling legislation. Bingo and raffle games that are operated by qualified charitable organizations in the pursuit of charitable purposes if conducted in conformity with enabling legislation. 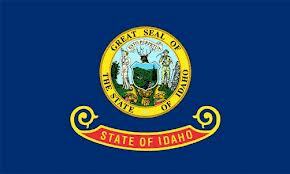 It doesn’t really go into much on Indian casino gambling which is odd because it is a legal form a gambling in Idaho. You can read the full article here, and come up with your own opinions. Again, it doesn’t discuss or event touch on the topic of the internet, which is why it’s so hard to get a clear understanding on what is and isn’t legal. As you can see after reading important sections of the law when it comes to gambling and playing poker over the internet in the state of Idaho, it doesn’t come out too black and white as most people wish it was. There law does mention poker offline a little here and there, but when it comes to online there isn’t much detail. While it is tough to get a clear understanding of what is and isn’t legal when it comes to playing poker on the net if you live in Idaho, one thing that is clear is we could not find any cases within the state where someone was arrested and sentenced to prison for playing online poker. With that being said, it makes one believe it is safe to play over the internet but it’s always best to seek legal advice if you have questions. How Do I Get Paid? How Can I Win More? Can I play on iPhone? Does Bellagio have online poker?